By Gilbert Ford. 2016. New York: Atheneum Books for Young Readers. 40 pp. Ages 4 to 8. The Slinky, one of the most popular toys in America, was invented quite by accident. The idea for the Slinky came one day in the 1940s when a spare coil fell off a shelf above the desk of a Navy engineer named Richard James. The coil’s bouncing fascinated him, and he realized it made a marvelous toy. His son gave it a test run and concurred. The Slinky was soon in production. Richard’s wife, Betty, managed marketing and operations for the toy start-up, and Richard pounded the pavement to make their first sale. It became a near-instant hit. 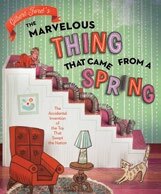 This peppy story is illustrated with digitally rendered drawings and photographed dioramas made with old-fashioned toys. The characters reflect the style of the 1940s and 1950s. But Ford was careful to overcome some of the biases of the time by including racially diverse characters in his illustrations. He also highlights the fact that Betty was a capable and significant partner in the business. Concept and pictures by Andy Harkness. Words by Lisa Wheeler. 2016. New York: Disney Hyperion. 40 pp. Ages 3 to 7. Insects are a big draw for young children: they’re freely available for collection, they’re small enough to keep for observation, and adults don’t usually oppose taking in a caterpillar—whereas a puppy might be a harder sell. Lists of delightful words describing the bugs—“armored, teeny, leggy, greenie”—remind readers that their sheer variety is one reason they provide so much intrigue. That variety is brought to life on large pages with illustrations crafted from digitally colored clay models that are rich with texture. 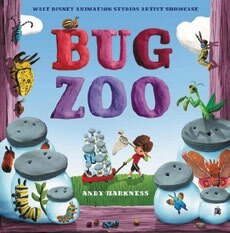 Ben, the main character in this story, takes an interest in the beautiful bugs outside his door. He cages the bugs in jars and opens a bug zoo to show them off. When no one comes by, Ben realizes that the bugs belong in nature and releases them. 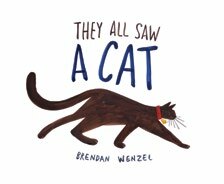 This story is a nice way to initiate a classroom discussion about how to treat animals. By Lois Ehlert. 2016. New York: Beach Lane Books. 40 pp. 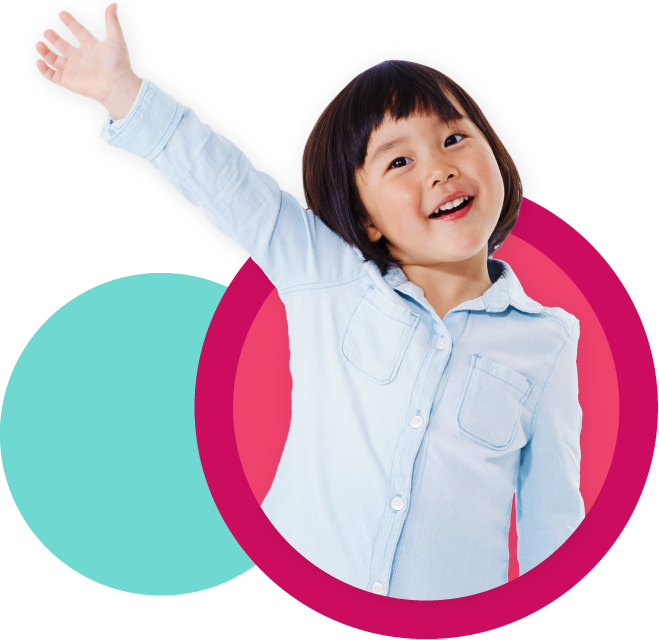 Ages 3 to 8. By the end of the book, the rain fish swim away, evoking the fleeting magic of a quick storm. This rhyming concept book provides incredible extension opportunities on topics like recycling, art, and using one’s imagination. By Brendan Wenzel. 2016. San Francisco: Chronicle Books. 44 pp. Ages 3 to 8. This creative tale is all about perception and observation. When a cat walks through the neighborhood, it looks different to every animal it meets. The flea sees a cozy home. The child sees a friendly pet. The mouse sees a frightening monster. They all see a cat, yet each perceives something different. And when the cat looks at its own reflection in the pond, readers may be surprised by yet another view shimmering off the water’s ripples. The illustrations—made with watercolor, colored pencils, oil, charcoal, and “almost everything imaginable”—received a Caldecott Honor and are full of action, spilling across wide double-page spreads. The sparse text invites readers to fill in the story with their own observations. By Ellie Sandall. 2016. New York: Margaret K. McElderry Books. 32 pp. Ages birth to 3. Follow along as a playful lemur leads its friends on an adventure through the forest. They delicately balance on thin branches, pluck fruit from a spiky cactus, and cozy up together. 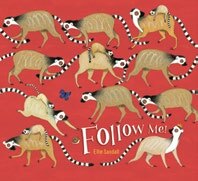 With excellent rhythm and pacing, the leading lemur declares on each page, “Follow me, follow me, follow me!” But an encounter with a crocodile changes things. This delightful story features rich, repetitive language—“things to chew, things to munch, things to have for our lunch”—that is helpful for dual language learners and lends a sense of busyness and purpose to the lemurs’ outing. By William Steig. 1971. New York: Farrar, Straus and Giroux. 32 pp. Ages 4 and up. 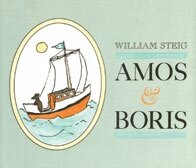 What a pleasure it is to celebrate the genius of William Steig by featuring this story of an unlikely friendship between a mouse and a whale who save each other’s lives. The first rescue happens at sea, while the mouse is taking a voyage on his self-built boat. The whale comes to his rescue, and they become close friends. Years later, when the whale becomes beached, the mouse returns the favor by convincing two elephants to push him back to sea. Steig’s language is what sets this tale apart. His writing is accessible to small children while still stretching their vocabularies and imaginations. He describes a “phosphorescent sea” and the whale being “breaded with sand.” His characters offer insights, such as the whale’s “You have to be out of the sea really to know how good it is to be in it.” Children will learn science facts about land and sea mammals, how whales’ bodies work, and what one might eat in the ocean. The two animals shed tears as they say goodbye at the end of the book, capturing the way happiness and sadness, or difficulty and joy, often come to us in pairs. What an enduring tale!